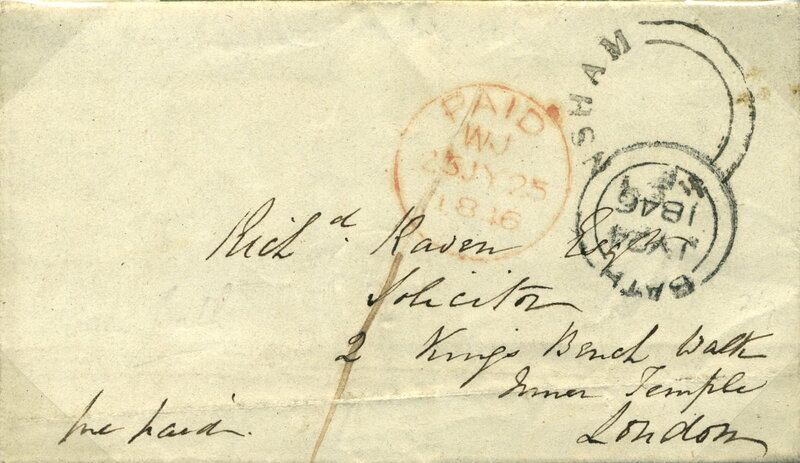 This entire letter was posted at Keynsham where it received an undated Keynsham postmark with double arcs, this postmark was issued through the Bristol main office 30th March 1840. The leter was pre-paid 1d denoted by the manuscript '1' in red. On arrival at Bath a circular date stamp was applied on July 24th 1846 and on arrival in London it received a circular paid mark in red dated 25th July 1846. At this time Keynsham letters on route to London were carried through Bath whereas later they were routed through Bristol. 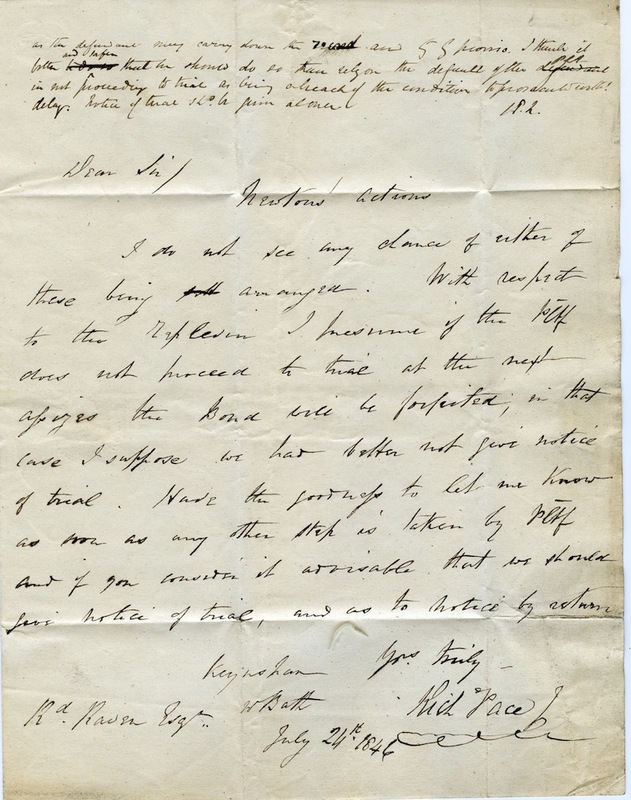 The entire letter refers to Newton's Actions and a decision as to whether to give notice of trial and was written by Richard Pace of Keynsham.